Customer service professionals work hard to keep their company’s customers and clients happy. Help them by letting them know about your product or service. 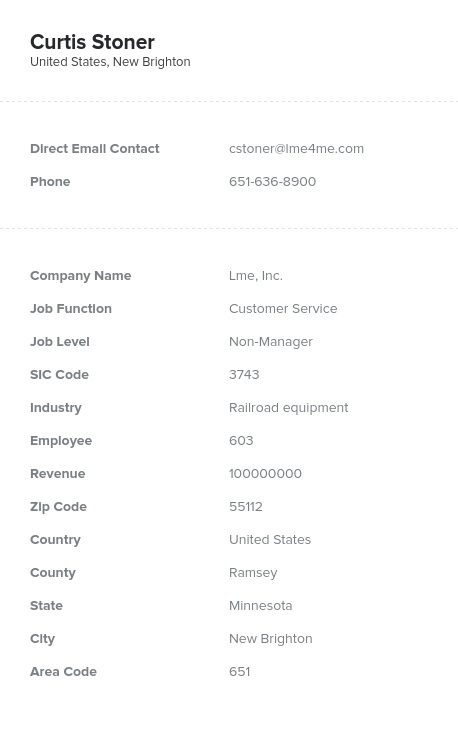 Pull a pre-built, accurate contact list of those working in customer service departments at several companies. Do you want to talk to some of the most hard-working professionals in a company? Find those working in customer service departments with just a few clicks with this huge, downloadable directory. Whether you want to market your helpful, organizational software, tell them about a new technique that can result in higher consumer satisfaction, or simply network with a group of customer service employees, this unique data product can help. It's important to remember that Bookyourdata.com doesn't simply provide generic emails (like [email protected]) but rather offers direct contact information and names. That means that you can build a stronger B2B marketing campaign by talking directly to the people who make customer service decisions. Get in touch with them over the phone, via email, or even though the mail, as Bookyourdata.com offers all of this data and more. In this list, you may find staff, phone operators, or even executives. Bookyourdata.com's reliable, human-verified data is perfect for start-ups and businesses aiming to make more connections with industry professionals. Use this email list to contact those working in customer service, or customize this list to target your leads even further. Get in touch with customer service associates and professionals with this list today!